A few photos in a few cemeteries. I used to take a lot of pictures. Sometimes, I still do, although not as often as I would like. Going through my computer the other day, I found some winners. I thought that I would share them with you all. 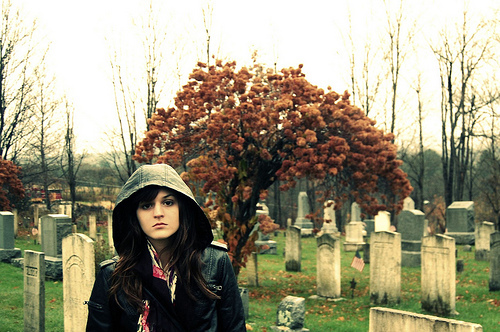 I’ve always liked cemeteries. And I never seem to age. (I can’t tell if that’s a good or bad thing…) I’m around 18-21 years old in all of these photos. 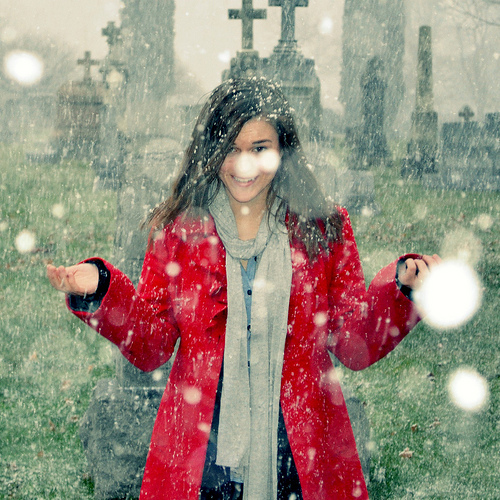 This photo was taken in St. Stanislaus Cemetery in Buffalo, NY. 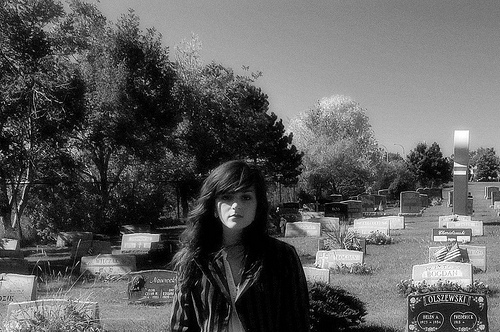 You can’t see it, but I’m standing in front of my grandfather’s (my mother’s father) grave. 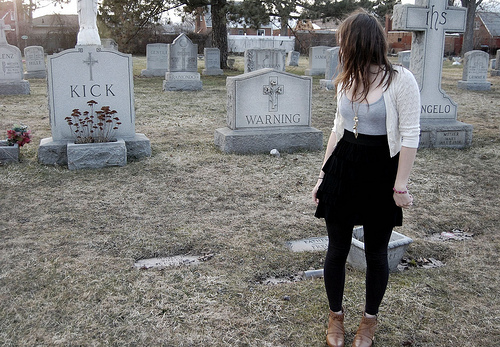 Taken in Mount Calvary Cemetery in Buffalo, NY, I thought that I was being artsy. I liked the ‘Warning’ headstone. I thought it was a warning that we all end up the same. This photo will always be one of my favorites. This was taken in November a few years back. Josiah and I were on our way to Ellicottville, NY to shop for my father’s birthday when we ran into that year’s first snowfall. We always pass this little cemetery (again, I’m not sure the name….help anyone??) when I made him pull in so we could take photos. It was so beautiful and so much fun! Next time you drive east (hint, like towards Vermont) stop in Rochester, NY. Mount Hope Cemetery is the oldest, largest Victorian cemetery in America (I believe, anyway I was brought up there and that’s what we were always told.) Magical.